"The IG has an obligation to investigate this matter even more so now that the Defense Department is trying to sidestep the whole situation," Rep. Duncan Hunter (R., Calif.) told the Free Beacon. "Either we didn’t pay, and don’t pay, which is the official Defense Department line, or we did pay, as others within the Defense Department continue to insist. This is worthy of an investigation and my hope is the IG will move to sort out the facts." In the Dec. 1 letter to Pentagon Inspector General Jon T. Rymer, Hunter stated: "While I am aware that you previously declined to investigate this matter, I respectfully request once again that your office initiate a review to determine the order of events under which payments of any type were made." Hunter also asked the IG to probe whether payments made to an Afghan national as part of the failed effort to ransom Bergdahl in January or February may have violated federal laws against providing support to terrorists. The congressman stated that an initial step in the inquiry should be to interview five people at the Joint Special Operations Command, part of the Tampa-based U.S. Special Operations Command. "Further discussion with these five individuals is warranted since several of those who are listed are reported to have discussed and acknowledged the payment," Hunter said. "An audit of Bergdahl recovery options determined that JSOC did in fact have two lines of effort under consideration—a kinetic rescue and a ransom payment," Hunter added. The ransom payment may have been couched as part of the command’s "different methods for initiating payments, without a formal declaration of a ransom," he said. "Therefore, any payments that might have been made—even under the guise of obtaining information—must be thoroughly scrutinized," the letter concluded. Pentagon spokesman Adm. John Kirby said "we’ve not seen the letter so it would be inappropriate to comment." The request for the IG probe of the ransom payment followed a letter sent to the lawmaker late last month from Defense Secretary Chuck Hagel. In the letter, Hagel denied that a ransom payment was made in the Bergdahl case but also stated that the secretary had "no information" whether payments were made to an Afghan national in the matter. Hunter has been investigating the issue since July when he met with officials from the IG’s office and discussed the matter. The IG in August declined to investigate the case, and requested the identities of the specific people who were aware of the payments, promising them official whistleblower protection. Bergdahl was released in May as part of a controversial prisoner release that freed five terrorists held at the Guantanamo Bay, Cuba prison. Bergdahl had been a captive since June 2009 and had voiced anti-United States military views. According to defense officials, as part of the JSOC operation to free Bergdahl, the command made a large payment to an Afghan national who said he could arrange the release. However, the Afghan took the money and disappeared. Hagel in his Nov. 21 letter to Hunter said the Pentagon "did not make any payment of ransom nor make any attempt to pay ransom for the release of Sgt. 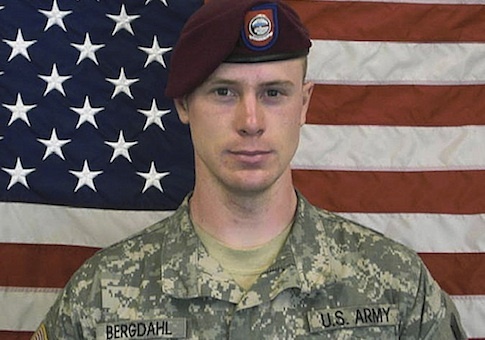 Bergdahl." He then added that "we have no information that any payment was made to an Afghan intermediary in exchange for facilitating Sgt. Bergdahl’s release." The carefully worded letter was less categorical about the payments than comments to reporters made by Adm. John Kirby, Hagel’s spokesman, who said earlier that there was no ransom and no money "exchanged at all to secure Sgt. Bergdahl's release." Kirby also said that there was no failed attempt to pay ransom money. According to Hunter, the ransom payment was made covertly by JSOC to an Afghan who claimed to represent the Haqqani Group, an Afghan terrorist group. The FBI also was consulted on the payment and had an agent in Afghanistan awaiting Bergdahl’s release, defense officials said. If confirmed, the ransom payment would undermine a key tenet of President Obama’s new counterterrorism strategy that currently is seeking to discourage foreign governments, businesses and families of captives from making ransom payments. The new al Qaeda offshoot Islamic State has raised more than $25 million this year from ransoming off hostages, according to the U.S. Treasury Department, which is leading the anti-ransom efforts. The White House also announced last month that it is reviewing U.S. policies that prohibit ransom payments but that it continues to oppose any ransom payments. Defense officials said the payments likely were part of a $5 million fund that the commander of the U.S. Central Command has at his disposal, which can be used to pay rewards or to purchase information leading to the release of captives. Another factor complicating any investigation into special operations activities related to Bergdahl are indications that commandos conducted a raid into a northern Pakistan border region in late 2013. According to defense sources, U.S. commandos conducted a raid into the region and raided a house where Bergdahl was believed held. Bergdahl was not at the house, but the raid included the capture of a terrorist who had been the leader of the group holding him hostage. The terrorist is believed to be in U.S. custody. However, because the raid had involved crossing the Durand Line separating Afghanistan from Pakistan, the raid may have violated a strict U.S. prohibition on cross-border military activities. The release of Bergdahl followed several different covert efforts to win his freedom, including State Department negotiations with the Taliban; Pakistani government efforts and a reported plan by the Bergdahl family to pay $10 million in ransom. This entry was posted in National Security and tagged Al Qaeda, Barack Obama, Chuck Hagel, Duncan Hunter, Islamic State, Obama Administration, Terrorism. Bookmark the permalink.